In this interview, Ryan Kulp explains how Fomo was bootstrapped to the successful business it is today. 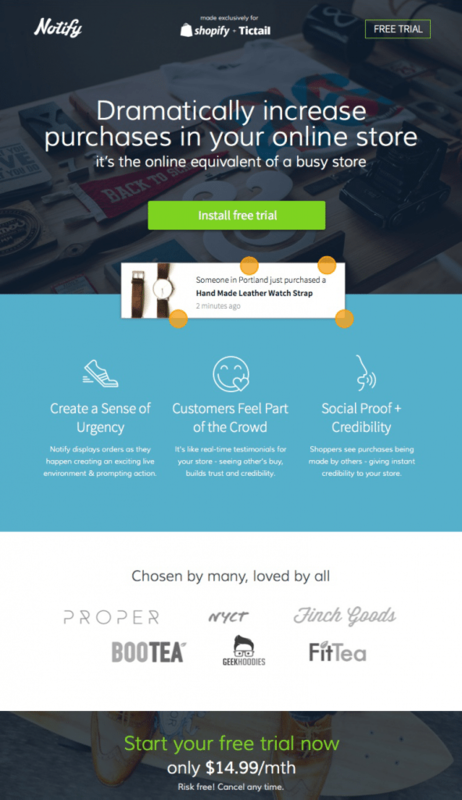 Fomo is a service that uses social proof to increase conversions on your website. If you have been on a website and seen a message popping up saying that someone has just bought a product or signed up that is what Fomo does. What were you doing before working on this product? During Fomo’s first few months I worked full-time at a venture capital fund, GrowthX. Then I joined a portfolio company, Distribute.com, to help with product and growth. I didn’t go full-time on Fomo until March 2017, which was when we hit $35,000 MRR. Even then, all revenue was invested back into the product, so I continued freelancing for another several months to take care of myself. Was this your first attempt at a product? – if not what products did build before and what happened to them? I’ve built literally dozens of products, many are still live today and some have 100s or 1000s of signups. But most were free, or not very good, so I didn’t spend time growing them beyond typical stuff like launching on Product Hunt, posting on Reddit, etc. As for “real” products, the most significant thing I built before Fomo was ArtSpot, a marketplace that connected local indie artists with venues who displayed their work. This was mildly successful for artists and venues, as we had more than a dozen locations on board and over 100 pieces on display at any given moment. But, we couldn’t figure out how to actually “sell” the artwork… people just want to look at art and drink their coffee. what was your aha moment, how did you come up with the idea? I actually didn’t come up with the core idea for Fomo. In March 2016 I was changing my credit card on a beef jerky subscription site and saw a notification that said “John just bought a box of meat 5 mins ago…” which caught my eye. Since I was working in venture capital at the time, I looked at the HTML source code to find the tool name, Notify, then reached out to the support email and asked if they were interested in raising money. Long story short, the founder actually wanted to sell the business, and within 30 days I acquired it from him with my friend Justin. Over the next few months we rebuilt Notify from scratch, added more features, and then rebranded and re-launched it as Fomo in August 2016.
did you validate your idea before building the product and what did you do to validate it? Not exactly, since the tool was already live as a Shopify plugin, with plenty of paying customers. We took their feedback (email newsletters pointing to Google Form surveys) and have been iterating on the product ever since. What were the challenges in developing or designing the first version? One huge challenge was building a brand new code base, migrating existing users, and avoiding downtime. It feels insane to admit this now, but we actually were so overwhelmed with the prospect of moving users between servers that we maintained near feature parity between 2 different codebases, built on separate servers and with different programming languages, for the first 8 months of Fomo. Finally, in July 2017 our team flew to Croatia for a team retreat, and while there we performed a massive user migration from the old Notify code base to the Fomo code base. This was a huge value add for thousands of Shopify users who, at the time were limited to the older, less featured product. Other challenges included typical issues like scaling. Since Fomo records all clicks and impressions into a stats server, we learned the hard way (during Black Friday) what kind of traffic spikes e-commerce stores are capable of. Our servers actually crashed a couple times during Black Friday 2016, but we did a much better job 1 year later, having installed better monitoring tools and taking “shifts” throughout the holiday periods to watch server load. as the first version an MVP or did you go for a full-featured product from day one? and would you do it differently again? While Notify was already up and running on my first day, it did essentially become the MVP as we built the new Fomo platform. Another aspect making Notify a less featured MVP, is that it was strictly bound to Shopify. The main goal of rebuilding Notify into Fomo, besides the rebrand and new features, was to remove that Shopify restriction and make Fomo a standalone platform with an API. I think we pulled off that abstraction very successfully, and we now enjoy all kinds of customers, from e-commerce to SaaS, Shopify to Magento, and custom websites in between. If we had another chance I wouldn’t do anything differently, except migrating Shopify users from Notify to Fomo, sooner. How did you come up with your pricing? Fomo has changed pricing 3 or 4 times since launch. Here’s an approximate timeline. Usage-based billing has been huge for us. In addition to basic volume tiers, we’re now able to charge Shopify users automatically, as their volume fluctuates month to month. For users not on Shopify, they get email alerts and have to manually upgrade or downgrade to allow more or less notification volume. Most days we do a few hundred dollars in usage charges alone, just from Shopify users who have that billing variant enabled. Would you price it differently again? If I could do this again, we’d switch to Shopify usage-based billing the day that feature launched, and we would also build our Stripe integration (for native, standalone users) to behave similarly. No manual upgrades, just automatic tier swapping. This is how Mailchimp works, and in my opinion is a best practice for recurring billing products with a volume-based component. How did you launch? How did you market and get the word out about your product? Fomo launched on Product Hunt on August 9, 2016. We sat in a cafe on Market Street in San Francisco, fielding comments and emails and live chat requests. This was a lot of fun, and I’m glad we kept it organic. Dramatic launch sequences with newsletter blasts and paid advertising are not in line with Fomo’s values, and we were very pleased with the results… 100s of signups in the first couple days. How and where did you find your first customers? I’ve written over 100 short and long essays about growth. It comes down to this: a) who is your customer, and b) where is your customer? Most of Fomo’s clients are e-commerce stores, and they hang out in forums, on app directories, reading product reviews, and digesting best practice case studies. So, to procure new users we create content, participate in conversations, speak at events, and co-market with other leading e-commerce tools. For e-commerce stores, health = (traffic * conversion). 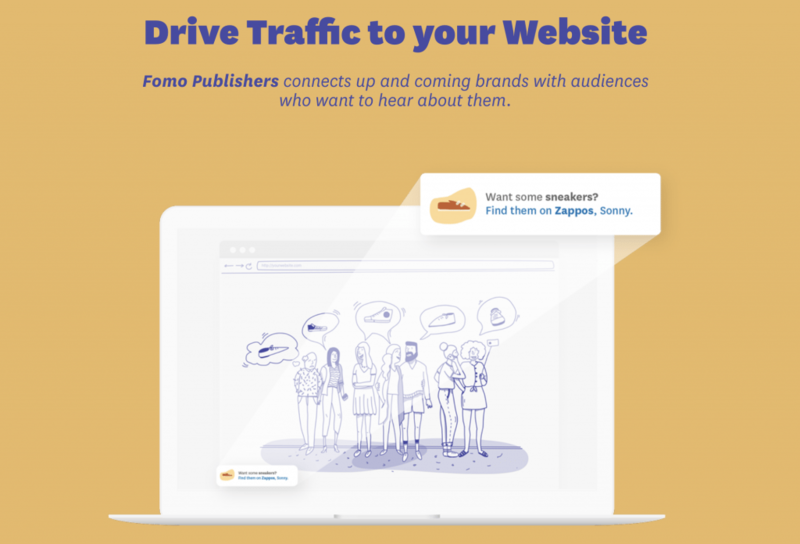 Fomo helps with conversion rate optimization, and now we’re expanding into the traffic equation with the launch of our new ad network, Fomo Publishers. Did you have an audience to start with? If you did how did you get it? Because I was working at other companies during the launch and first 12 months of Fomo I mostly kept the business news to myself, out of concern (and respect) for my employers at the time. What were there any challenges from onboarding customers and dealing with initial customer feature requests? We used to have a “book a call with us” option, presented to users immediately after signing up with their email, and before the free trial even started. This was fun for awhile, but after booking over 100 calls and experiencing at least 60-70% no-shows, we removed that option. Clients can still book video calls with us, but an existing account is required and we sort of “buried” the ability to book calls into more sophisticated areas of our app, versus during onboarding. The ongoing challenge in general is to improve our onboarding so users can self-serve and achieve success without direct contact. Have you managed to make a living from the product, if so how long into the products life did that happen? I’ve been paid twice by Fomo. We’ve been profitable since November 2017, but as an entrepreneur (and thus, risk-taker) I’m more interested in seeing how far we can go, and am less optimized towards liquidity at this time. I’m very lucky to not need a regular source of income, so whenever we hit a new milestone, let’s say an additional $10,000 MRR, I’m more likely to hire a new person than pay myself. That may change near the end of 2018. Did you have any problems moving full-time into product away from an existing job or clients if you were a freelancer? It was a relief to move into Fomo full-time, however, because I continued freelancing to pay some of my personal bills, the main difference was not having a daily routine, like an office. I’m still working 7 days a week on multiple projects, with Fomo being the most important. If you have employees or companies you here, what challenges did you face bringing them into the business? Fomo has around 12 team members, 9 full-time and 3 part-time. As the team has grown I’ve observed just how much time it takes to manage people, even if they’re generally autonomous and self-motivated. Something as simple as answering a few questions, or helping brainstorm an idea, turn into 4+ hours per day of work when you consider that each of your 12 person team may need you for 20-30 minutes per day. In the future, we’ll likely introduce a bit of hierarchy to streamline reporting, but for now, our organization is flat, and I think we like it that way. What does your marketing stack currently look like? 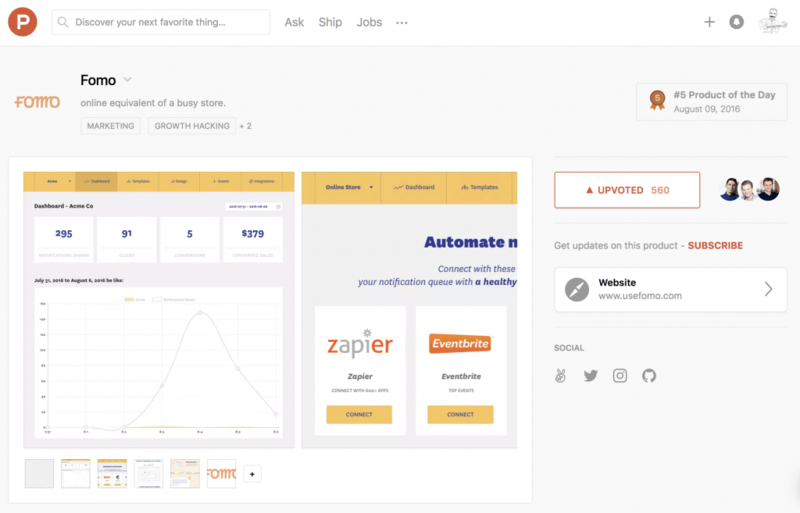 We’ve also built some tools internally, including a Partner portal for affiliate links and a live preview tool, which currently convert over 20% of visitors to signup. If you use Content marketing what would you say makes your content Marketing work for you business? Do you have a conversion rate for it? We enjoy creating case studies and publish 3-4 per month. We also write about new product releases, team retreats, and overall thoughts on honesty in digital marketing. But, it’s not very high converting to our main product (yet) and we’re OK with that. We don’t do content “marketing,” we just share ideas that sometimes lead to users. Are you being transparent with your numbers? Our vision is to give honest entrepreneurs the credibility they deserve. To demonstrate this we lead by example, showcasing everything from numbers to team bios, building personal relationships with clients and more. Recently we interviewed with Indie Hackers, where we shared revenue as well as our hiring plans. I’ve also given talks at conferences detailing our growth strategy and approach to customer support. If you are being transparent what are your MRR and ARR? 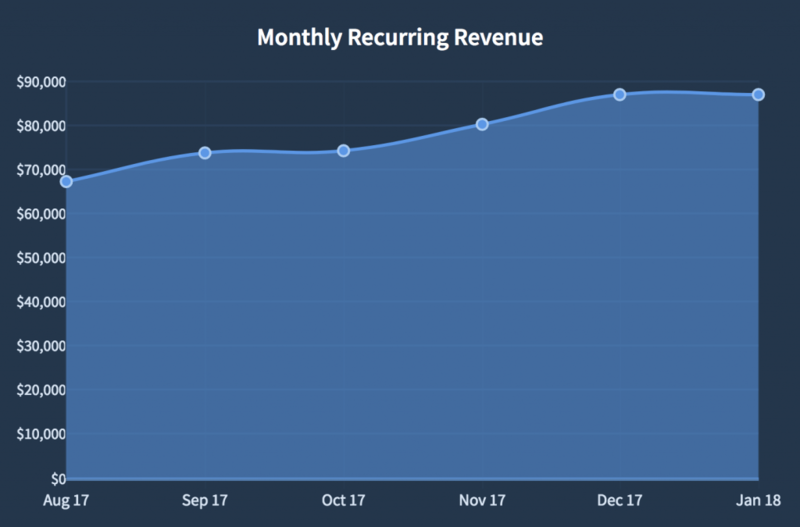 Last month revenue was $94,897. We should do at least $1.5mm this year, and maybe over $2mm given we recently hired our first business team (marketing and sales). Do you share these numbers online, if so where? We don’t have a public dashboard but I tweet and am interviewed frequently; most notably our interview on Indie Hackers and a screenshot I’ve included in this interview, give a glimpse at our growth rate. Has being transparent with your numbers had any challenges or positives? Mostly positive, although I imagine some talent or investors (potential acquirers) lose interest with static numbers and single digit month over month growth. That’s an OK trade-off, however, to live out our vision. whats next for you and business? I’m thrilled about our ad network, Fomo Publishers. Startups need a reason to exist and grow, or it’s just a small business. While there’s nothing wrong with small software companies, that’s not what gets me up in the morning. With Fomo Publishers we can 10x our company without adding a single new client. There are Fomo customers paying us $49 per month for conversion rate optimization, for example, who simultaneously spend $200,000 per month on Facebook ads. We think Facebook ads are saturated, expensive, and uninspiring, so we’re building the world’s first social proof ad platform. Fomo Publishers ads merge dynamic customer behaviors into your ad creative, which has never been done. any advice for people just starting out? Don’t quit your day job! I tweet @ryanckulp and blog at https://www.usefomo.com, as well as https://blog.usefomo.com. Thanks for the interview!